Landlords take heed of the new exception which has been put in place for the Section 21 - Notice Seeking Possession of a property. A recent court case in London has put forth a new regulation under the Section 21 Notice to Quit procedure. The Caridon Property Ltd vs Monty Shooltz court case ruled that any tenancy commencing after 1st October 2015, where the tenant was not served with a gas safety certificate before moving in, was exempt from a Section 21 eviction, even if the certificate was served at a later date. What is a Section 21 Notice? It’s a legal letter of notification that gives landlords the right to repossess his/her property at the end of an Assured Shorthold Tenancy. The landlord will request the tenant(s) to leave the property, which under the rules of Section 21, state that the landlord has to give two months’ notice. The notice to quit is purely informational and is the first step of the eviction process, which requests the tenant to leave - this does not serve as an official eviction. To read more on Section 21 or Section 8 notices, please visit the Gov UK website (click here). Following on from the recent court ruling, landlords will not be able to serve a Section 21 Notice if they do not provide the tenant with a gas safety certificate prior to moving in. As a landlord, it is your responsibility to serve copies of a valid Energy Performance Certificate to the tenant, as well as the governments How to Rent guide. Landlords, it’s important to always provide your tenants with the necessary certificates, paper work and other information prior to the start of a tenancy. You want to be legally compliant with all of the rules and regulations surrounding buy-to-let and Assured Shorthold Tenancy, to avoid any potential problems in the future. How can technology help you with Section 21? If you are using the right technology solution, it will allow you to stay legally compliant with all current and future regulations. The brightLET multi-award-winning property solution has already helped over 400 landlords to stay on top of current regulations and will always ensure that they stay legally compliant. Whether you would like to share important documents like gas safety certificates, energy performance certificates, inventory reports, inspection reports, and even a tenant how to rent guide, you can do this prior to the tenants moving in, or during the tenancy. For more information, and to start your free trial today, please click here. As always, we would love to hear from you. 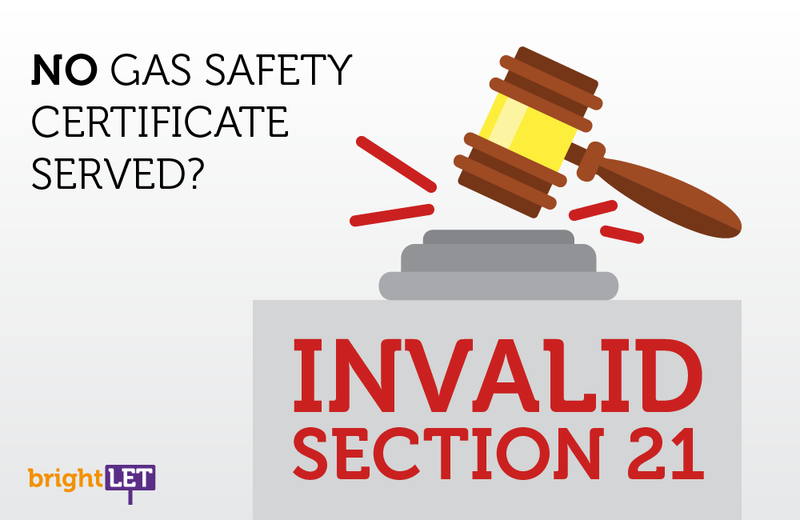 Have you had any issues with Section 21 Notices in the past? We’d love to get your feedback on this topic.